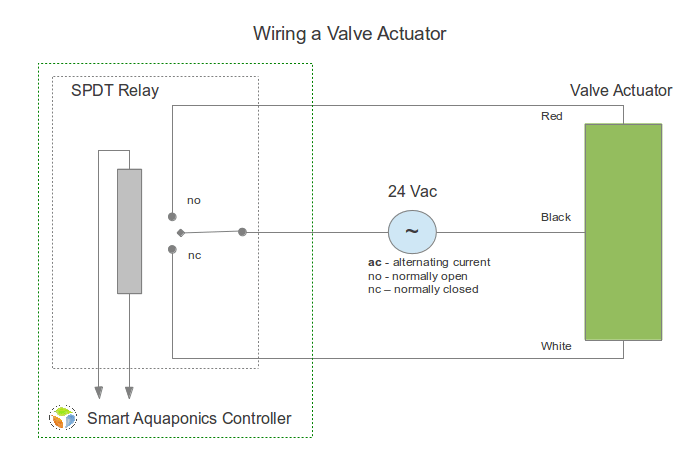 Actuator valves run on 24 volts ac (alternative current) and are used to electro-mechanically move the 3-way valve which activates the indexing valve. Generally one has to flip the power to get motion in either direction. I use single pole double throw relays and open collectors within the Smart Controller to do this using algorithms. Actuator valve manufactures include Goldline and Jandy.